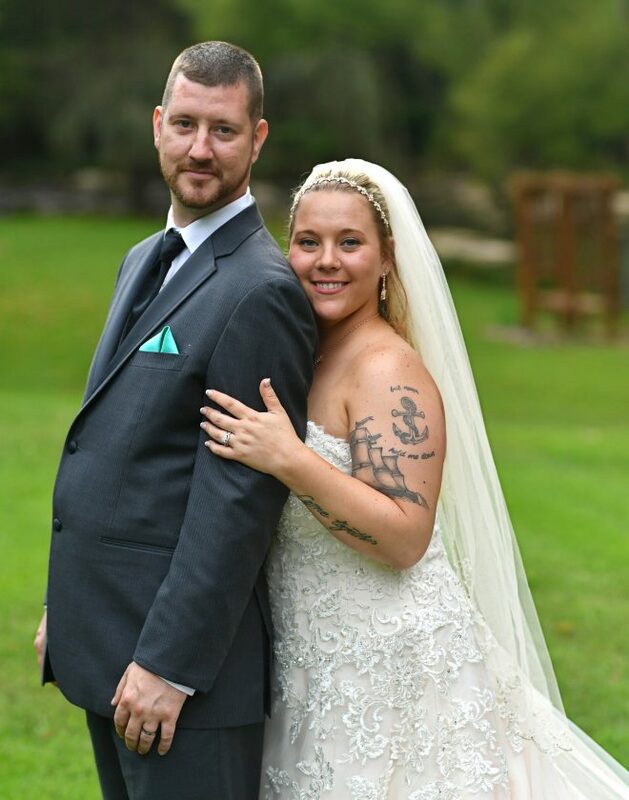 Brooke Wilson and Jamie Abrell were united in marriage Sept. 15 at Four Fillies Lodge, Peterstown, W.Va. The bride is the daughter of Brenda and Jim Wilson of Flinton. The bridegroom is the son of Lonnie and Susie Abrell of Paw Paw, West Virginia. Todd Gray was the officiant. Brooke O’Shell was maid of honor. Bridesmaids were Julie Lloyd and Lindsay Kallas. Alexis Betke was flower girl. Bill Lloyd served as best man. Groomsmen were Lee Mazenko and Seth Gallaher. Quigley and Tootsie (pups) were ring bearers. The couple took a wedding trip to St. Lucia. They reside in Gerrardstown, W.Va.
Mrs. Abrell is a 2011 graduate of Glendale Junior/Senior High School, Flinton. Mr. Abrell is a 2007 graduate of Hampshire High School.